In today’s online and social driven world the power has shifted from the seller to the buyer. Only 47% of information used during the purchase decision comes from the supplier. This decline in face to face selling has led to a rise in screen to screen interaction. For sales reps there’s now a need to not only communicate through digital content, but also to understand the impact of the materials they share. 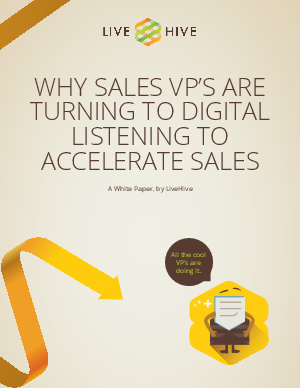 It’s a new era and sales reps require new tools to keep up with it. This whitepaper will show you how your sales reps can employ new methods to find out how much a prospect knows, how interested and engaged they are, and where they are in the buying process. All in real time!